It’s not too often that we get up-close looks at winged dampwood termites, but they were out in numbers last night, attracted to our UV lights last night during a nocturnal species review. 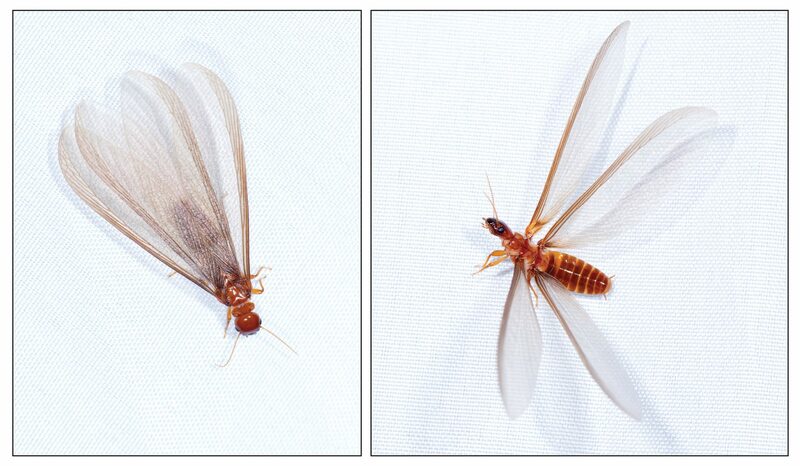 With the first fall rains come dampwood termite flights. Winged Kings and Queens leave the colony for their nocturnal nuptial flight. After mating in the air, the Queens come back down to earth to find a suitable site for a home, then sheds her wings and begins the arduous process of starting a new colony. It’s understandable to not want this insect chewing on the timbers of your home, but the are very important to a healthy native environment. Besides breaking-down dead wood, they are a great source of protein for so many animals.